« Are you ready for hunting season? A few run-throughs before opening day ensure a productive start to the season. You’ve picked your opening-day destination, purchased ammo, got your license and cleared your calendar. You’ve been busting clays for weeks to ensure you’re ready when that first bird towers into the sky. But what about your dog? 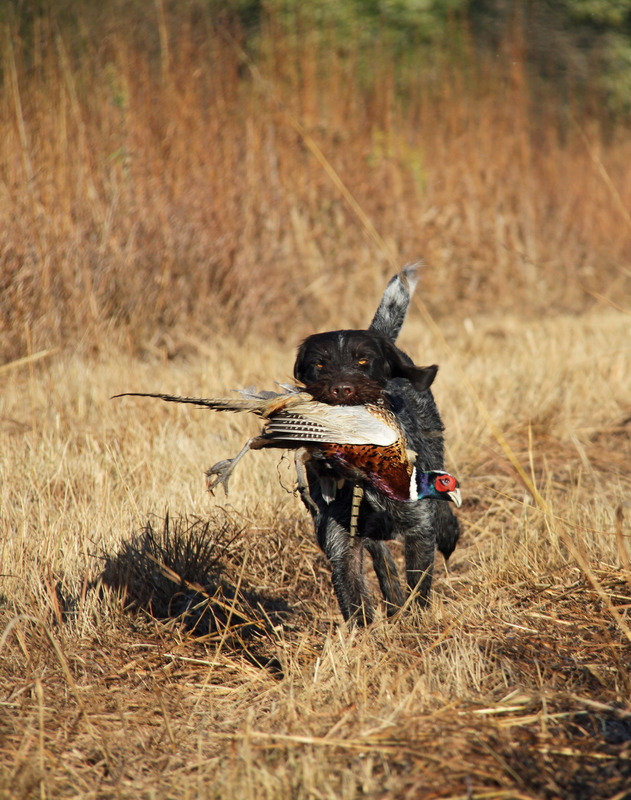 Trained or tyro, your four-footed companion could use a tune-up before that first hunt of the season. Whether you’ve trained all summer or usually trust to dumb luck on opening day, be fair to your dog and begin a short a refresher course now. Consider incorporating these activities into your dog’s daily regimen in the weeks before you head for the woods, marsh or prairies. Every session, whether training or exercise, starts with a quick drill through some basic obedience skills. When the season starts, we continue this practice the moment the tailgate drops. My dog heels, gets a “whoa” command or two (you flusher guys can “hup”), and is called back with a “here.” It reminds the dog that hunting is work, and I’m the boss. We often neglect what I’ll call “alternate commands” until hunting season. Whistles and hand signals aren’t really necessary in most training situations, but could be vital – even life-saving – in a bird field. Run through them a few times in the weeks before you head for South Dakota. Re-introduce birds. I don’t care how much experience a dog has, if his last bird contact was closing day, I hope you carry a rabbit’s foot, cross yourself, and light a candle at church. Stage-manage a few flushes or points in the yard and training field. Use a checkcord for insurance. Your dog’s memory will be re-kindled, he’ll be starting on the right foot. Don’t forget to add gunshots – they can trigger disobedience as much as a rooster rattling into the air. Ditto retrieves. We start on the training table, moving quickly from bumpers to birds, then blinds. We focus on fundamentals at every step so each pre-season execution is close to perfection. When you pile out of the truck, his memory is of a well-executed “fetch” instead of the sloppy one of closing day. The early season is full of stress: travel, new faces, new places, altered daily routine, you’re your dog’s feeding schedule. Most stress is based on fear of the unknown. You can eliminate much of that for your dog, and thus for yourself, with these basics before you turn the truck key at dawn on opening day.